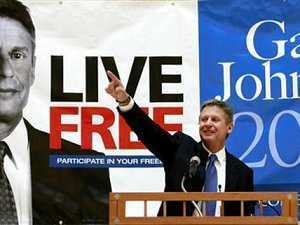 Next up on the list is the former Governor of New Mexico, Gary Johnson. It goes without saying that Gary has probably the best resume on paper in the Libertarian field. He grew a business from one man “handy man,” to the largest construction company in New Mexico. He was elected twice as Governor of the state. And recently, Gary was the CEO of a marijuana edibles company. 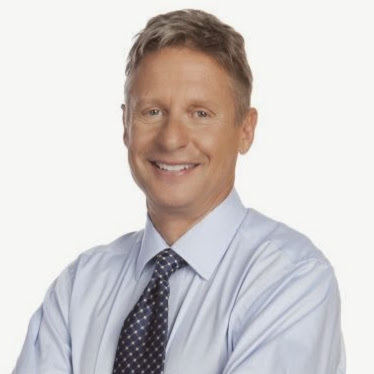 Gary also started Our America Initiative to challenge the debate commission on presidential debates excluding 3rd party candidates, especially considering the Libertarian Party has a definite electoral chance, if given the same coverage. As the Libertarian Party nominee in 2012, he also shattered the ceiling with total votes. Rising up over 1 million in the general election. No one can argue that the background is impressive, if not daunting to overcome if you’re also vying for the nod from delegates in May. However, his background alone isn’t what delegates look at. We measure platforms, strategy, strengths, and weaknesses in who we select. So aside from his strong resume, let’s have a chat about Governor Johnson. One strong suite for him has been his approachability. He is very relaxed, easy to talk to, and understood well by many people. He comes across as an average guy and not a high and mighty elitist. Gary is also able to offer substance in his ideas proposed. If you ask him on his position, whether you agree with his position or not, he is able to give specifics on the how and why he would do something. This is critical for any candidate. Gov. Johnson has also garnered far more media attention than all other candidates combined. This includes prime time slots on mainstream sources like Fox, MSNBC, & CNN. However he also talks to the independent blogger, which adds to the credibility of being approachable. While all of this is good, there are concerns about his campaign and his positions that need to be addressed. First, in debates he tends to have a hard time articulating in a specific timeframe. Give him enough time and he’s sharp as a tack, but when under the pressure of time limits, he stumbles a lot. Especially if you happen to trigger him and get under his skin. He has also recently had some issues of advocating positions contrary to libertarian philosophy. While he is attempting to be more pragmatic in his approach, one particular stance he took on the Stossel Program debate on April 1st hit many libertarians hard. The stance was on forcing interactions between businesses and consumers. Free association is a huge deal for libertarians, and his “contention” was that a business should provide service against their beliefs. Another common critique you’ll find is that he lacks energy. In a one on one, you can see the passion, but in some appearances, he can best be described as flaccid. If he wants to electrify the electorate in America. He needs to step up and make people believe him. He could take a lesson from Austin Petersen in this regard. Lasly, he seems overly obsessed with issues like ISIS and Sharia Law. This tends to fall in line with the fear mongering we experience from the Republican Party. It’s common sense that in a place standing with liberty as supreme, there would be no chance for Sharia to be forced on the American people. Overall, he is a decent choice for nomination, but he needs to step up his A-game and also spend more time studying free association. I’ve heard from many that the comments made on Stossel were a deal breaker. So I rate him as pragmatic in approach, but not necessarily going to win over radical delegates. So with a Johnson vote it is pragmatism versus pure message. That’s what has to be decided if you’re a delegate.